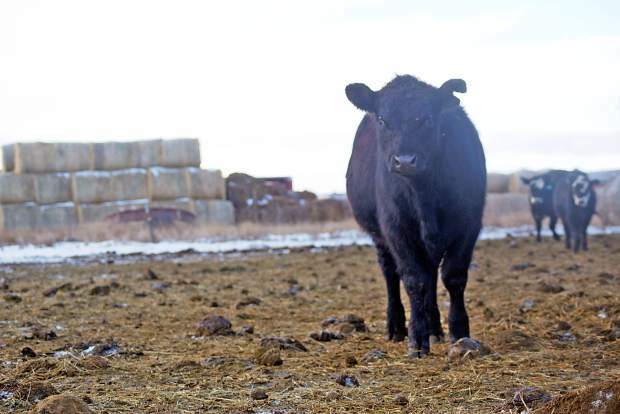 The Senate Agriculture Committee today unanimously approved a combined bill to reauthorize the Livestock Mandatory Price Reporting Act, the U.S. Grain Standards Act and the National Forest Foundation Act. The three measures were formally combined into the Agriculture Reauthorization Act of 2015 (H.R. 2051). Senate Agriculture Committee Chairman Pat Roberts, R-Kan., and Senate Agriculture ranking member Debbie Stabenow, D-Mich., both said there had been bipartisan, bicameral agreement on the measures, which should allow them to be enacted quickly. The House approved the bills by voice vote on the suspension calendar, but House agriculture leaders agreed to some changes that are included in the House bill. The House must take up the measure again, however, because their measure has been amended. Both the Livestock Price Reporting Act and the U.S. Grain Standards Act are set to expire on September 30 without reauthorization, and the act reauthorizes both through 2020. The National Forest Foundation Act, which establishes a nonprofit partner of the U.S. Forest Service, expired in 1997, but has been funded through appropriations. The reauthorization act, which authorizes appropriations of $3 million, continues it through 2018. In a statement, Roberts noted that the Livestock Mandatory Price Reporting Act requires packers to inform the Agriculture Department of the prices they pay livestock producers for cattle, hogs and lambs and the prices they receive for wholesale meat cuts, and also makes technical changes to swine and lamb reporting that will result in more transactions being captured and more accurate reports. Jess Peterson of the U.S. Cattlemen’s Association said his group was not completely satisfied with the livestock reporting provision because his rancher members believe reporting should be more reflective of market conditions, including cattle that are delivered on a formula price basis rather than a negotiated basis. But Peterson noted that USDA will engage in rulemaking on the bill and said he was also pleased that the bill calls on the Agriculture Department to conduct a study, with input from the livestock and meat community, on the workability of the reporting program before the next reauthorization in 2020. “I understand the importance of these reports to the constituent community, and I strongly encourage USDA to use the authority they have to keep these reports on schedule any day that the markets are open so that livestock and futures markets aren’t thrown into disarray,” Roberts said. The bill also includes provisions reflecting farmers’ anger over the lack of shipments from the Port of Vancouver, Wash., in last year’s labor situation. “Specifically, we require the secretary of Agriculture to take immediate action and to notify Congress if there is ever another disruption in inspection like we saw in the Port of Vancouver last summer, and to keep us up-to-date on what is being done to resolve the disruption until inspections resume,” Roberts said. The National Grain and Feed Association and the North American Export Grain Association commended the Senate for including the requirement that USDA approve requests for waivers of the official grain inspection requirement if the Federal Grain Inspection Service fails to restore inspection service, unless the disruption is caused by an emergency, and the requirement that Congress be notified about any disruptions in service. The organizations said they were disappointed that neither the House-passed bill nor the Senate Agriculture Committee’s version includes language preferred by NGFA and NAEGA that would require USDA to use qualified third-party inspectors licensed and overseen by FGIS to perform official inspections at export facilities in the event of a disruption, something that both organizations plan to reemphasize during future reauthorizations of the law. Grain groups had objected to that provision on the grounds that foreign buyers might not respect the certification by third-party inspectors. “These highly qualified experts already are working at U.S. export elevators — often at the request of international customers — to perform non-U.S. official grade-determining testing services that often are requested,” the NGFA and NAEGA said. ▪ State agencies that are delegated official inspection duties at export ports would be required to undergo the same notice-and-comment rulemaking process that already applies to domestic state and private entities that provide official inspection services in the domestic market. ▪ Changes to the formula now used by USDA to set user fees charged to export elevators, which NGFA and NAEGA estimated will result in up to $12 million in overcharges during the current and immediately preceding fiscal years. ▪ A shortening of the reauthorization period from the current 10 years to five years, which NGFA and NAEGA believes is essential given the rapidly changing international marketplace and different approaches to government-based grain inspections by the United States’ foreign competitors. Stabenow noted that the changes in the bill had been requested by producers. “Each of these bills helps to strengthen our economy — whether it’s ensuring our farmers and ranchers have the tools they need to be competitive in the global marketplace or helping to revitalize the 193 million acres in our national forest system,” Stabenow said.